« PWP Live Pro Wrestling! October 24th in Omaha, NE! 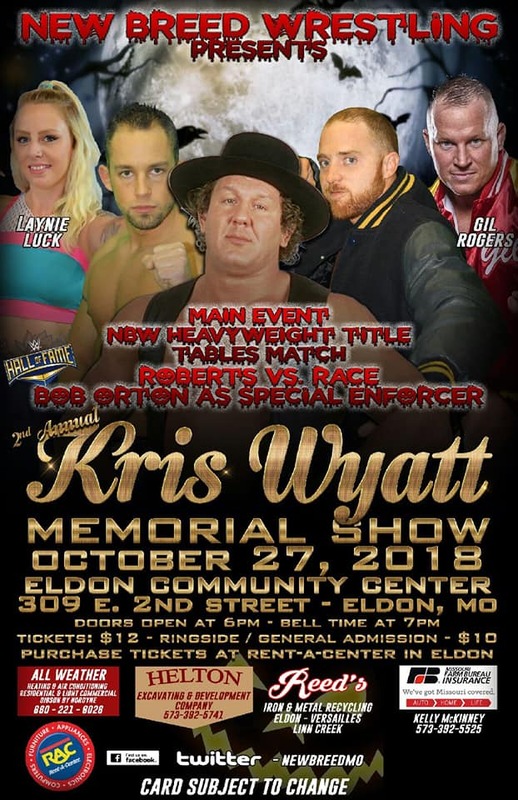 We are less than two weeks away from the 2nd Annual Kris Wyatt Memorial Show in Eldon, MO on October 27th! Tickets are on sale now at Rent-A-Center, $12 for ringside rows and $10 for general admission. The doors of the Eldon Community Center open at 6pm, with the show starting at 7pm. There will be 7 great matches on the card, including our main event for the NBW Heavyweight Title in a Tables Match, as Kyle Roberts defends against Leland Race, with “Cowboy” Bob Orton as Special Guest Enforcer. Plus, our special guest Laynie Luck will be in action, along with the NBW debuts of Gil Rogers, Alpha Omega, The Professionals and Referee Yali Sapphire along with all of your favorite NBW stars! 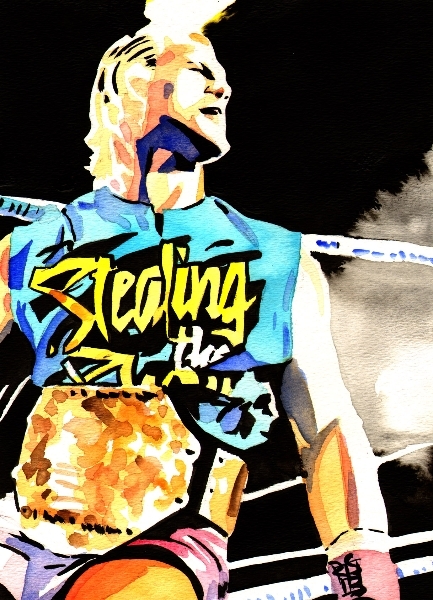 And don’t forget… We will be crowning the first ever Multi-State Tag Team Champions on this night! Details on that match and more to come this week! This entry was posted on October 21, 2018 at 8:55 am	and is filed under Uncategorized. Tagged: Alpha Omega, Bob Orton, Gil Rogers, Kyle Roberts, Laynie Luck, LeLand Race, NBW, New Breed Wrestling, The Professionals. You can follow any responses to this entry through the RSS 2.0 feed. You can leave a response, or trackback from your own site.